I wanted to share with you all an amazing event that occurred on February 6 at the Muskoka Campus. 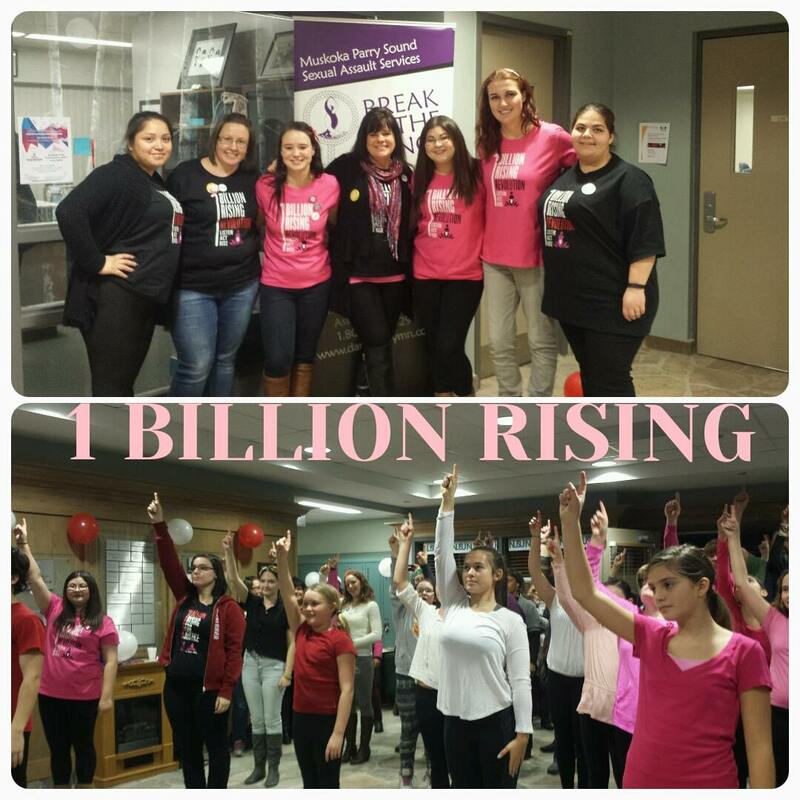 I worked with some dedicated students and Muskoka Parry Sound Sexual Assault Services to provide an event called One Billion Rising to the community. One Billion Rising is a revolutionary campaign that brings the entire world together in hopes to end violence against women. This event occurs on Valentine’s Day, but we decided to make a community event with singers, a silent auction and food available to Bracebridge to enhance awareness for this campaign. This event brought many community members together, and we raised over $500 towards the Ignite project, aimed to create a monumental sculpture in Bracebridge to honour every woman who has experienced violence within their lifetime. We had tons of food and prizes for the community, and many organizations graciously donated items to be auctioned! This was truly an amazing event that brought the community together to stand up and create change. We danced along with the music for One Billion Rising, and we all came together as one big community. This event really showed how a small town can make a big impact, and I am so grateful that our school has put so much care into this cause. I am truly proud to call myself a Nipissing University student in Muskoka.